Home » Setup and Install » How can i setup Artica with my Load-balancer ? How can i setup Artica with my Load-balancer ? 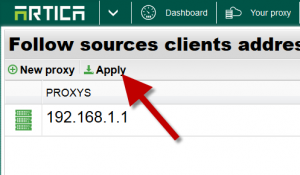 If you using an HTTP load-balancer such as HaProxy, Squid.. you need to specify to Artica the IP address of the load-balancer. 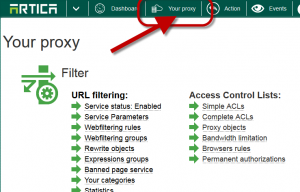 This to allow the proxy to understand the X-Forwarded-For HTTP header. 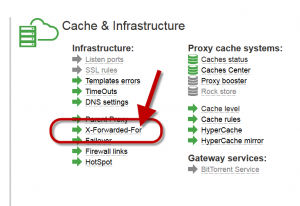 Notice: The x-Forwarded for is added by the Load-balancer, for SSL communications, the Load-balancer will not be able to add the X-Forwarded-For HTTP header, logging and ACLs will not be applied with SSL. 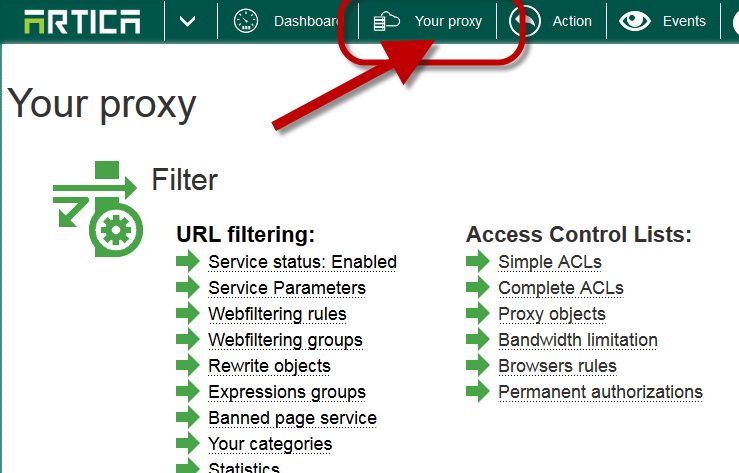 Click on New Proxy on the table button.